Cowells Arrow is a member of the Arrow International Inc. group of companies. 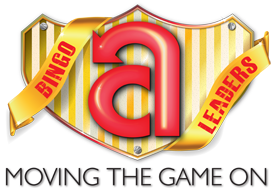 Celebrating over 50 years of industry leadership in North America and Europe, Cowells Arrow provides the highest quality gaming products and the most reliable service in the industry and professional support that enables bingo and gaming to remain fun, competitive and profitable. We continue to expand our product lines on a daily basis to provide the largest selection of creative and custom gaming solutions that excite players and keep them coming back for more. Cowells Arrow has a long history of supplying bingo tickets. Initially, Cowells established itself in the distributor market, then in the early nineties it become part of the Arrow family. With their support we started to win prestigious commercial sector contracts at home and further penetrated the European and world export markets. Besides our thriving standard bingo ticket business, we supply the majority of link circuits throughout the UK and Ireland including the National Game and are constantly looking for ways to move "the game" on. Add in stylish, exciting, quality ink dabbers in a great range of vibrant colours and carrying familiar faces such as Hong Kong Phooey and your favourite Coronation Street Characters and there really is no need to go anywhere else for your bingo products! With the combined experience of all Arrow staff across the globe, Cowells Arrow has become a leader in the UK market through innovation and the application of cutting edge technology. With the recent purchase of a duplex (two sided) digital print head and finishing line, Arrow International / Cowells Arrow have shown that their commitment to the UK bingo market is as strong as ever and are waiting to take your bingo products onto the next level.